Are you currently on the hunt for a high-end executive home? You may be sorting through a plethora of real estate listings, but if you’re ready to buy, perhaps a real estate auction is better suited for your search. At Smith & Co. Auction & Realty Inc. we have a multi-parcel real estate auction coming up soon that might peak your interest! 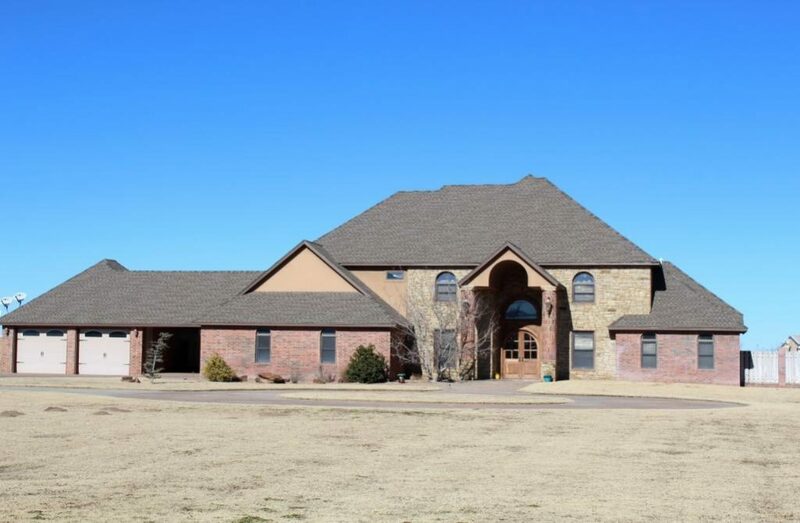 A high-end luxury home in Woodward, OK is hitting the auction block on February 20, 2019. 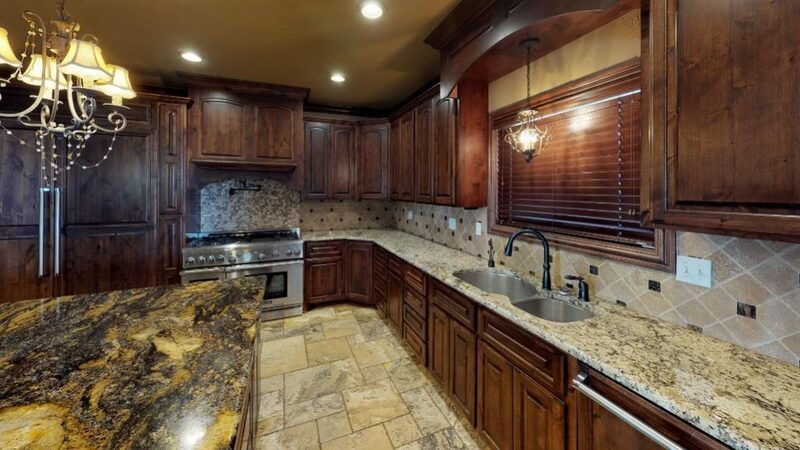 Your long days of searching will be left in the past once you see this elite executive home. Learn more about the executive home and all its features below! Further auction details and a photo gallery of the home are available on our website. Feel free to look around and call our team at 580-254-3975 with any questions you may have and we’ll see you on February 20th! Before you bid and then buy, here are the essentials to know about this executive home up for auction! This home was custom-built in 2008 on 4.83+ acres of land. The home offers a spacious living room and the kitchen has sleek granite counter tops, commercial appliances, a breakfast bar and more. Now let us paint you a picture: you walk through the front door, the entryway greeting you with a wet bar with built-in cabinets made of solid wood. You immediately feel relaxed and at home ready to head to the large master bedroom suite with a walk-in shower, designer bathtub, and several home accessories that do not disappoint. From here, you’re able to walk through atrium doors to your own personal outdoor oasis to relax out on your covered patio. Within the lower level of the home, you’ll find a large area housing another wet bar, a bathroom, and a traditional safe room. The upper level features two bedrooms, two full bathrooms and a half bath. 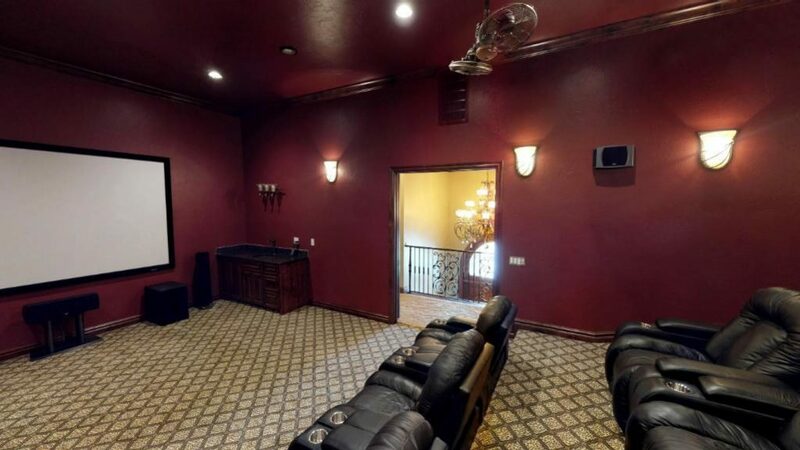 For work, you’ll find a beautiful home office, but for play, you can take advantage of the theater room, presenting you with your feature presentation and comfortable theater seating for 12. Would you believe us if we said there’s more? Within the three levels of this luxury home, there are plenty of amenities to indulge in. Enjoy looking out over your property from an atrium-like area located above the front entrance. And with this property, you’ll never want to keep the party indoors. 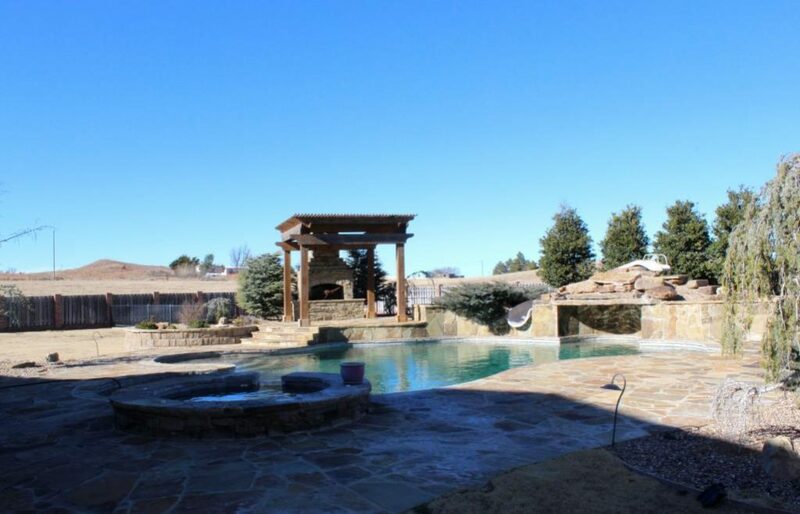 There’s a wonderful outdoor entertaining area, from relaxing in the hot tub, to splashing around in the in-ground pool, heated to your liking and always sparkling. There is also a fireside gazebo, perfect for entertaining guests or relaxing under the stars. Storage space is no issue with this home; the 4,900 sq. ft. garage with multiple overhead doors and an upstairs should meet all of your storage requirements, housing your vehicles and large enough to accommodate a motor home. One of the most important factors in choosing a high-end luxury home is the area where it’s located. This high-end home is located just west of Woodward, OK offering potential buyers a spacious and beautiful area to live in. You can enjoy your privacy while also indulging in the suburban feel of Woodward County. This prime piece of real estate offers a beautiful executive home, yes, but there’s also the opportunity to purchase more land around the property. There are technically 10 separate tracts available for purchase at this live on-site auction, each tract offering something different to our potential buyers. With Tract 1 housing the high-end luxury home, the multi-parcel method of sale will be implemented, giving the buyer a chance to take advantage of the additional 13 tracts available before anyone else. 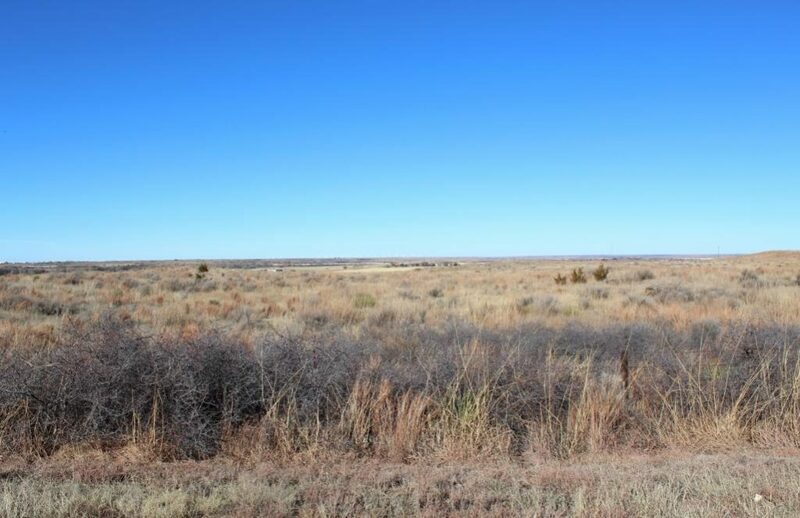 Once Tract 1 and it’s accompanying purchases are completed in a combination sale, the multiple tracts of land available in this location will hit the auction block. Additional tracts range in what they have to offer to a bidder. You’ll have the chance to purchase an acre of land with an already built, beautiful brick home, or five acres of land with a 1,162 sq. ft. mobile home. If by chance you’re more interested in purchasing land to build upon yourself, there are many tracts that offer various acres of land and great building sites. We have tracts that offer excellent hunting and cattle grazing, as well. No matter your interest or use for the land, there is a tract that you won’t want to miss out on. Learn more detailed information about the separate tracts in our auction description. This is a live on-site auction with no opportunity for online bidding. However, you may register as a phone bidder if you cannot physically make it to the auction site. Register as a phone bidder today by calling our office at 580-254-3975 today!